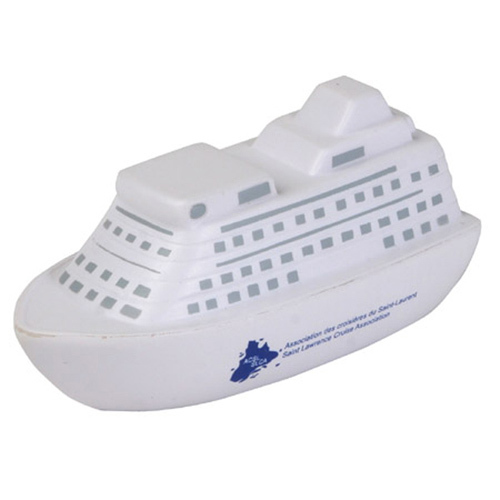 More luxury less stress.Promotional Cruise Ship Stress Ball is made of Squeezable polyurethane foam. Cruise towards success using this cruise ship stress reliever. It's the perfect way to advertise your cruise line or travel agency and a great way to thank customers for using your service amongst the competition. Pull ahead at the next tradeshow or convention with your logo and message on this hot item! Safety tested and intended for adults or for general use by consumers of all ages. Not intended for children under three years old or for pets. Bulk / 29 lbs / 300 pcs. / 24" x 14" x 15"box.